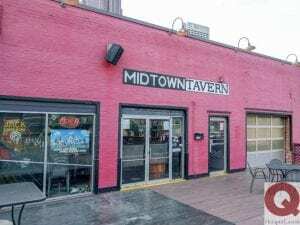 Midtown Tavern is a comfort food restaurant located in Midtown. They are dog-friendly and offer a section for you to play pool, darts, and karaoke. Joe’s On Juniper is a tavern located in Midtown. At Joe’s, they offer a dog-friendly outdoor patio while serving a large variety of traditional American food including a wide array of beer & cocktails. 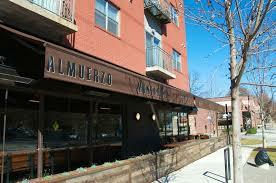 Barcelona Wine Bar is a restaurant located in the Inman Park area. At Barcelona’s, they offer a dog-friendly section on their wrap around patio while serving cuisines with Spanish influence. Amsterdam Cafe is a pub style cafe located in Atlanta. At Amsterdam Cafe, they are dog-friendly offering a particular seating area & play area for your dog while serving traditional cuisine and craft beer. Woody’s is a sandwich shop located in Midtown. 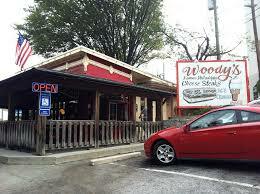 At Woody’s, they offer an outdoor covered seating that is dog-friendly while serving Philly style cheesesteaks and more.